Are people getting value for money from their IT? Are they getting what they pay for or are they getting more than they need? Just how much IT do customers need to get the job done? Is it better to have an 85% fit for the IT and 100% usage or a 100% fit and 85% usage? 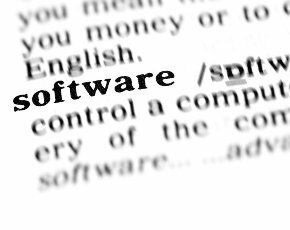 A recent survey conducted for Sage suggested that in Europe, as much as €9.6bn (£7.67bn) was being wasted on business software because people were paying for features they never used. Although Letellier was talking about software, the argument could be applied to virtually all areas of IT. So is there an argument for selling good enough rather than perfect technology? And if so, what role can resellers play in helping customers get an 85% fit with 100% usage? Boris Roy, CEO of Office Gemini, readily agrees with the suggestion that most software is over-charged with features that most people do not need. He cites Microsoft Word as a perfect example because most people only need a few formatting features and the spell checker. Although that’s not likely to garner many plaudits as an advertising slogan, it sums up well the problem of over-selling or over-buying IT. “IT managers sometimes go overboard with the products they select,” says Roy. “Most of the time, those decisions are made because they do not want to be criticised for selecting a sub-par product. The result is, however, very costly for the company they are working for. He says independent software vendors (ISVs) should try to ensure they are aligning their software feature set to customer usage. To make sure of providing software that is actually in line with customers’ needs, they should deploy usage tracking and analytics capabilities, he adds. “By fully understanding how software is being consumed, right down to what features are being used and how often, ISVs can easily identify which features they should be investing in and, equally important, where to divest,” says Longmuir. Simon Antoniou, director of business development at Evercom Systems, says a perfect yet more expensive solution may save time and allow businesses to be more productive, mobile and efficient, “but this is sometimes very hard to determine with business solutions in the IT sector”. This can also be applied to business software. Buying a full enterprise resource planning (ERP) programme could “be a game-changer for the type of vertical markets that need this level of collaboration within one platform, but a different firm with similar requirements may do just as well with a less intensive customer relationship management [CRM] system at a much lower ongoing cost”, says Antoniou. He cautions that “overloading users with features that they do not need will simply over-complicate the business process, which directly opposes the aim of the application”. Martin Callinan, UK country manager at Express Metrix, says one of the reasons companies struggle to maximise and measure the value of their IT investments is that they “simply don’t have an accurate, up-to-date view of the resources they have deployed and how effectively they are being utilised”. This leads them to buy more hardware or extra software licences when all they needed to do was to re-allocate resources from other parts of the business. Tom Brennan, vice-president of marketing at FinancialForce.com, believes much of the unused software identified by Sage’s research is likely to be “a holdover symptom from an old way of consuming software, based on perpetual licences that are paid for upfront by businesses”. Neil Grant, regional sales director at Nuance Communications, understands the attraction of delivering good-enough IT, but questions whether it really is good enough in the long run. “There still isn’t the nudge room to accommodate an investment that might, on the face of it, be good enough now, but in the long term turns out to be inappropriate,” he says. Grant feels it is incumbent upon resellers to “make an extra effort to understand what problem their customer needs solving today, and whether that investment can scale easily to their needs tomorrow”. Although he accepts that organisations have invested considerable sums into products that “never get deployed due to their unsuitability or complexity, or that their potential remains untapped due to poor training post-deployment”, he warns that it can be just as damaging to “opt for the least expensive option and hope that it will do for the time being”. Office Gemini’s Roy thinks resellers should help customers to develop a software adoption plan to “differentiate between what is really needed and what they would like to have but could live without” and to find “the happy medium between price and the features needed”. But the difficulty is that many suppliers “are just looking to sell their products”, says Gardner, so they don’t offer a flexible, adaptable solution that can be maintained as the customer’s business and IT demands evolve. He says a lot of companies are also guilty of buying a product “based on internal politics or how it looks on paper”, and that “it’s only when they get down in the weeds that they realise it has weaknesses”. Callinan says channel partners have a huge opportunity to help customers “realise the full potential return on investment from their IT purchases by acting as a trusted adviser during contract negotiations”. To achieve this, they need to gain a detailed understanding of their customers’ IT deployments and how they are being used. “These insights will enable them to instantly identify simple cases of overspend, where contracts can be pared down to reflect actual usage, or where they could offer training to help businesses drive the cost and efficiency gains that were originally intended,” says Callinan. Jeremiah Dooley, cloud architect at SolidFire, is one of the few who believes it is possible for businesses to achieve 100% fit and 100% usage and that resellers can assist them in hitting that target “by helping them decide exactly what they want to deliver in their business and to their customers, and then find the infrastructure and suppliers that can support them in that process”. “They need to make sure the tools used to deliver value to the business are aligned with a strategy that is informed by the business,” he adds. David Stonehouse, CEO at TSG, describes the trend of over-engineering systems as “a hangover from the days of seemingly endless enterprise-level budgets and a time when off-the-peg solutions simply didn’t have the functionality to deliver”. But the rise of the app culture in the consumer environment is helping to change perceptions, he says. “By necessity, many apps start life as a ‘minimum viable product’ to gain traction in the market, and are then evolved to incorporate increasing sophistication driven by customer feedback. That’s not to say there should be a compromise on quality; they just need to do what users want and do it well,” says Stonehouse. TSG is moving away from project-based deployment and developing products or apps that sit on platforms such as Sage 200 and Microsoft Dynamics and work out of the box with core functions that users need and that can also be fine-tuned using configuration. “It also makes ongoing support far more straightforward and customers benefit from evolution of the products over time,” says Stonehouse. For Antoniou, it is another modern IT phenomenon – cloud computing – that is helping to close the gap between the IT that people pay for and the IT they use. It is much clearer to clients who are buying anything from data storage space to virtual desktops via the cloud what their levels of usage are, says Antoniou, and they also have a wider range to choose from. He argues that the ‘just enough’ solution at a lower price is already being deployed over the cloud as the de facto solution and that “any features that are needed can be added as the company grows”. This is an interesting point, especially when you place it against Gardner’s argument that “there is no such thing as a magical sliding scale that can be used to determine the suitability of a solution and measure it against adoption rates”. Maybe not in terms of traditional IT deployments, but that doesn’t seem to be the case for cloud computing and the pay-as-you-use model.